My hair has been on quite journey over the years. I’ve tried so many products and it seems my hair is quite picky when it comes to what works for it and what doesn’t. I dye my hair to keep up it’s blonde colour, so it can pretty dry and unruly if I don’t look after it, though it seems to be getting more manageable these days. I recently got my hands on some new products, and as someone who is always looking for new stuff to try, I thought I’d share with you my thoughts on them. Also I’ve got an awesome discount code to share so you can grab some yourself to! The brand is Envy Pro. 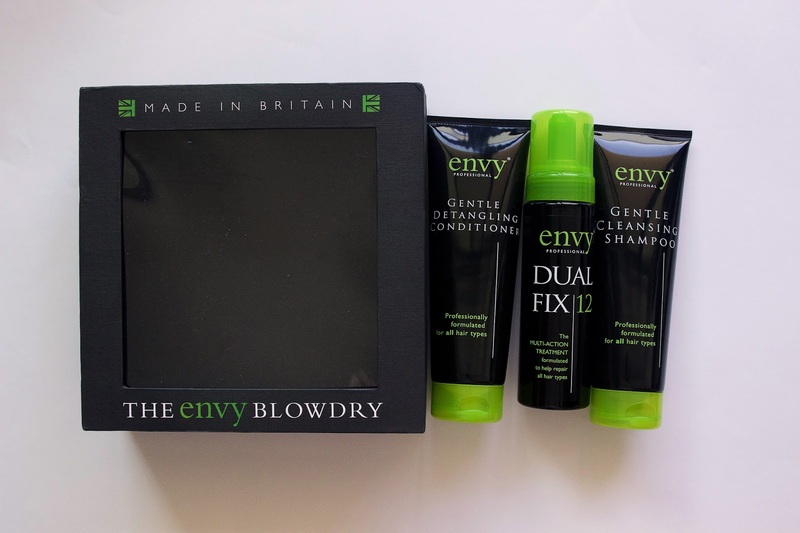 They’re a UK brand who aim to create products that will suit all hair types. This means they don’t have a huge selection of products to choose from, but really that’s the point. 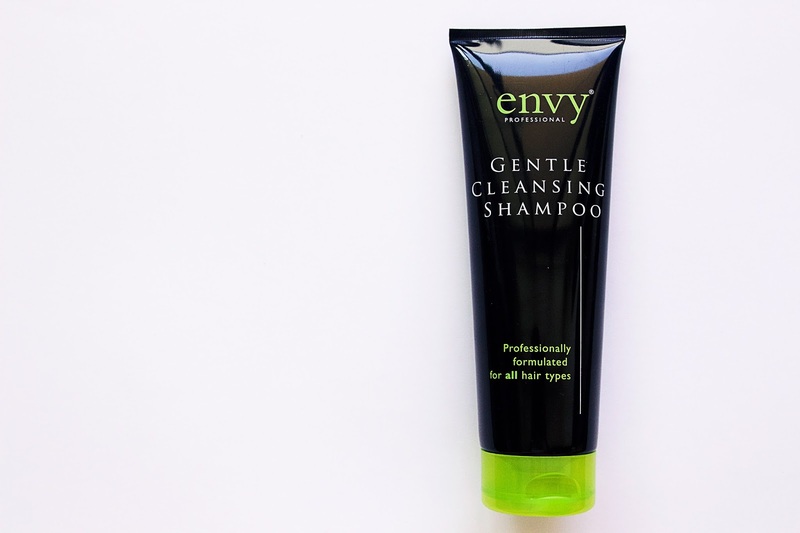 They’re all about ensuring that finding hair products can be simple and easy. 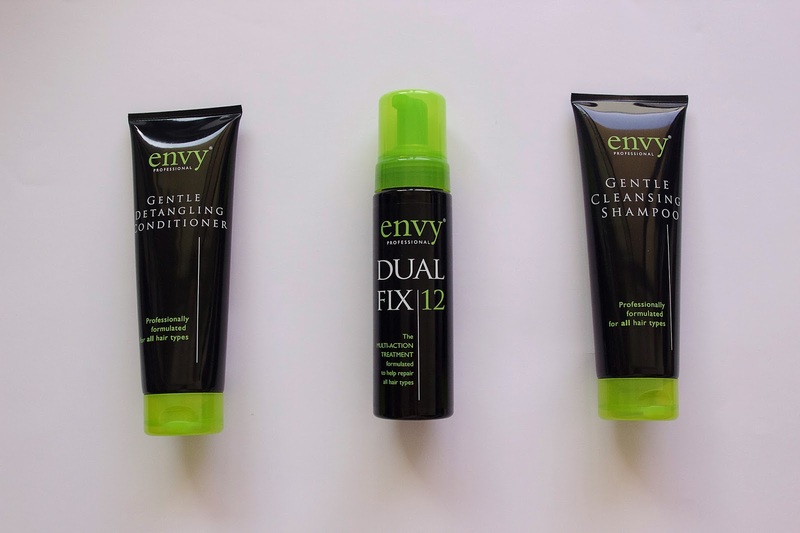 I tested out The Envy Blowdry Set which comes with three products; the Envy Dual Fix, the Gentle Cleansing Shampoo and the Gentle Detangling Conditioner. You can also buy each of these products separately. I want to start off by talking about the scent. They have this really nice, natural scent to them. It’s smells clean and earthy, which is something I wouldn’t have normally thought I could get into, but I did really like this one - so thumbs up there. 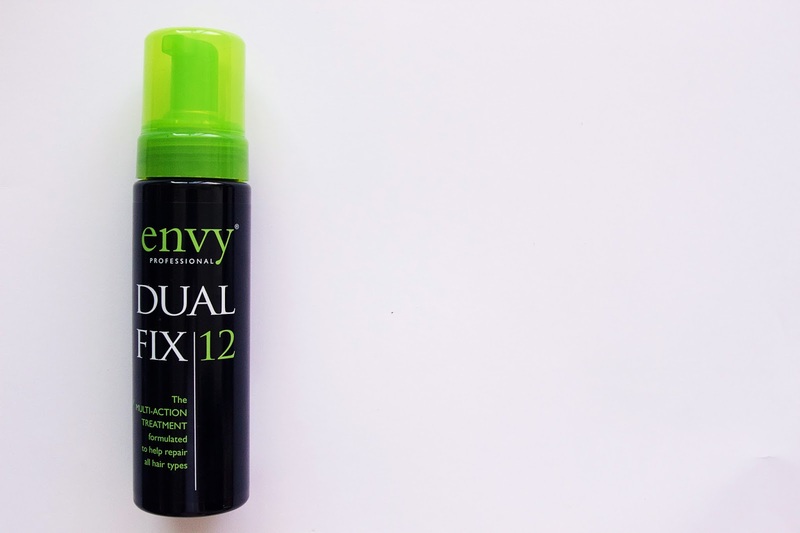 The Envy Dual Fix is basically a hair treatment that you can use either intensively or regularly. Being someone with thirsty hair I gave the intensive version a go. Before you wash your hair, you pump out a heap of the product (I love the fact it’s in a pump, it makes the whole process even easier) and lather your hair in it. You then roughly dry your hair with a dryer before washing it out. The next steps are to use the shampoo and conditioner. After washing out the treatment and giving my hair a wash with the shampoo, my hair did feel pretty dry and I’ll admit I got a bit nervous at this point. There’s been many times my hair has gotten this dry in the shower and the conditioner hasn’t really been able to bring it back to life, leaving me with dry, unmanageable and just generally ratchet hair. The biggest test of a product range for me is its conditioner; if it can leave my hair feeling healthy and smooth then I’m pretty sure it would work on anyone’s hair. Because my hair was so dry and I was so nervous about it I did mix a little bit of my regular TRESemme conditioner in with the Envy Pro, but only a little. I always leave conditioner in for a few extras minutes before I wash it out, to make sure all my hair gets a nice soaking. After hopping out of the shower I let my hair dry naturally, which I always try and do unless I’m in a rush to be somewhere; after all the less heat your putting on your hair the better. As it started to dry I have to say I instantly noticed my hair felt different, and in all good ways. The main difference was that it felt lighter, like somehow my hair was cleaner than it usually was. I don’t really use any hair products when I’m styling my hair, but it felt like this shampoo had somehow managed to get out all this extra dirt that I didn’t even know was there, so I think if you’re a person who likes to use styling products this stuff should get it all out. My hair also tends to knot easily, but I noticed a reduction in how many knots it got while it was drying, and it did feel fairly smooth. I also have to give props to the Dual Fix product and it’s styling-hold properties. I curled my hair that same night and I felt like my curls stayed in a lot better then usual. Normally by the end of the night my hair is reduced to a few bumps and crinkles because for some reason my hair just can’t seem to hold onto curls; but I still had a nice, soft curl when I got home. The curls also still looked pretty good when I woke up the next morning. 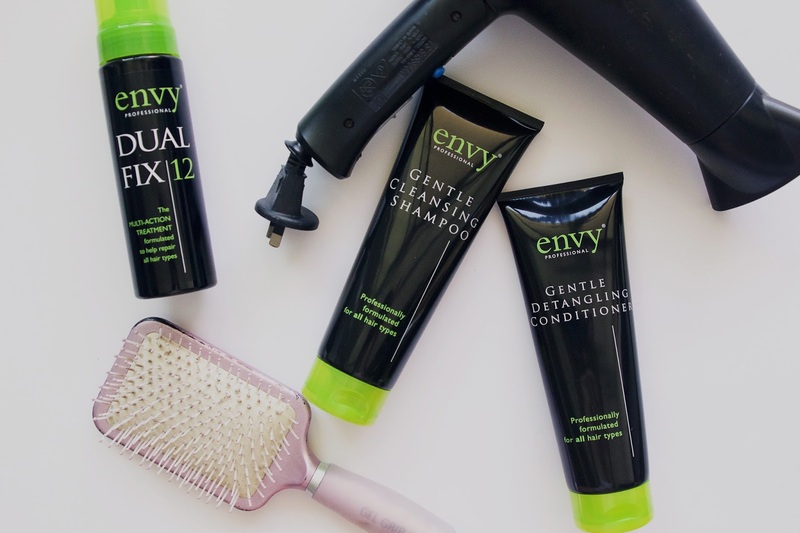 Overall I have to say I do like the stuff, so if you’re in the mood for trying out some new products I would highly recommend giving Envy Pro’s range a go. In fact, if you’re sitting on the fence about whether or not to give it a go, I may have just the thing to help you decide. The team at Envy Pro have been super generous to us all and have given me a code that will get you 40% OFF!! Just type in BLOG40 when you’re checking out your products to see that price drop. The code lasts until the end of March, so get shopping! *this product was sent to me for free, however the opinions are completely my own.